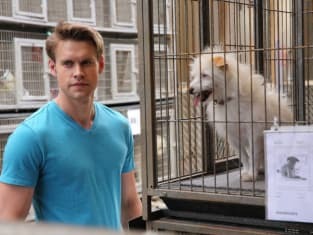 Glee Season 5 Episode 19 was for the dogs. Canines played a key role during the hour, as Santana and Rachel worked on an animal rescue event in order to repair the latter's reputation, while Sam adopted a new pet without telling Mercedes about it first. Elsewhere... Kurt acted as Peter Pan!